Big Brother 16 is just around the corner with just over a month to go until the June 25th, 2014 première date. This will be the earliest première date ever for the US version of Big Brother since it began back in 2000. 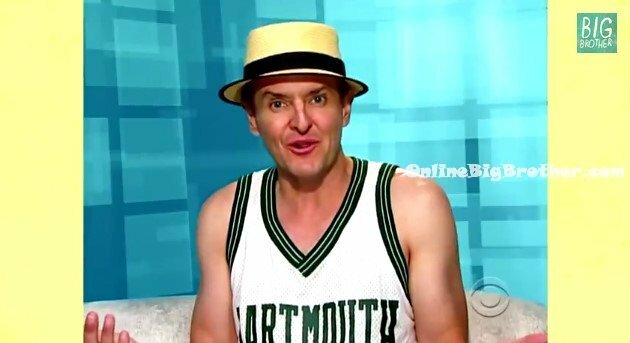 Last year the première of Big Brother 15 aired on June 26th almost 2 weeks earlier than the usual start dates and we are lucky enough to be spoiled with yet another early première date to start the summer madness off with a bang! As always, the producers will be trying to outdo the previous year’s drama, twists and craziness so this season is definitely going to be the season to watch! With Big Brother Canada season 2 having just wrapped up with an impressive season, it will be interesting to see if the Big Brother US borrows a few ideas from their neighbour to the north. 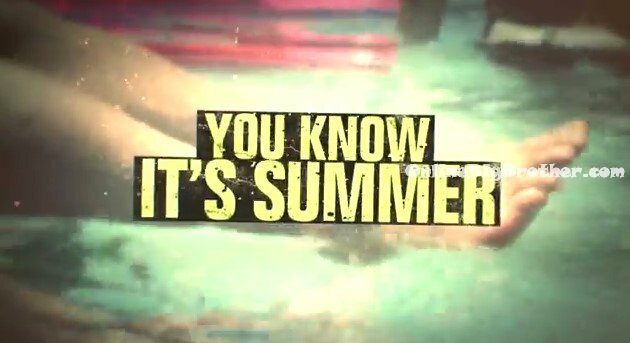 As usual the new promotional commercial doesn’t reveal any secrets about the season 16 but it does mean that we’re that much closer to our summer guilty pleasure starting all over again! What does everyone think of the new Big Brother 16 logo? Any ideas on what this seasons twist will be? Will it be an All-Stars cast or a Newbie cast? Tell us your thoughts in the comments below! I think it might 16 HG’s due to the early date again therefore it should be 8 vs 8 instead of 7 vs 7 if they decide to do that twist. i’d love to see players back for a second chance, but not nick, jeremy or kaitlyn. none of them could play well if they tried again and jeremy and kaitlyn were never fans of the show and were SUPER disrespectful on the show (didn’t kaitlyn try to leave a couple of times?? i remember her and gm talking about it lots lol) nick just used this as an opportunity to promote his internet career and im over it. apart from that i think it’s a good idea. i hope it’s an all newbie cast, and no cheating with siblings either! if jeff or anyone reilley is on again, im not watching. i’d consider “second chances”, for ex-hgs who have been evicted early (but they kind of did that for bb11). it’s too soon for all-stars 2 with all the past all-stars who have been on recently. if they capitalize on racism and then don’t address the racist comments in the house again, im not watching. bbcanada was very clear to their houseguests about racism and unacceptable behaviours, calling them out and having punishments (HGs were shown video of unacceptable acts and some hgs were made to wear t-shirts expressing their unacceptable behaviours, ex: Arlie’s “I expose myself inappropriately” lol). Seeing the canadian alternative just showed how much BBUS mishandled all that and literally allowed their hgs to live (and work) in a racist atmosphere and then immerge with the damage done. i think that Big Brother US should step up their “Big Brother” role, more punishments for rule-breaking, including “social” behaviours, and more tasks!! When do they show us the new cast? It looks like an evil house in that new logo. Maybe in a few days we will get an opposite ‘good’ depiction of a house in another logo. Maybe two houses competing against each other this year or a split house – BBUK/BBAUS style. It is funny. Everyone is saying this season is leaning toward veterans and relatives. But Season 29 for Survivor has been confirmed to be a Newbie Blood versus Water. To me, it would be weird to have blood versus water seasons in both big brother and survivor in the same year and back to back. A lot of the vet/newbie idea for BB16 has been due to rumors circulating around Rachel and Elissa. it is funny, because a lot of new info is coming out suggesting that Rachel and Elissa could be casted for Survivor 29 as new castaways which may explain this rumor. Personally, I think that this season will be either all newbies or allstars 2. Leaving Surivor 29 to be the newbie blood versus water with Rachel and Elissa on Survivor. I’m excited for the house tour. I wonder what this year’s theme will be. Can’t wait to watch it. I also will announce the BIG BROTHER HALL OF FAME CLASS OF 2014. Bring on the new season! i hope we have some new twists this season. Got an email to renew big brother feeds today with 20% off – when would i be able to get em through OBB to support you guys? I was wondering if Pandora’s Box was re-entering BB. I’m sure it will tempt the new house guests a few times this season! Someone has still yet to turn down the temptation… maybe this will be the season.. although I highly doubt it! Big Brother 16 LIVE FEED Early Bird Discount Pricing is NOW AVAILABLE!